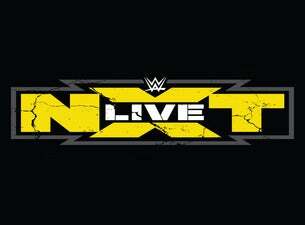 About WWE presents NXT Live! The hottest brand in sports-entertainment will join up with one of the biggest music festivals in the world to kick off NXT’s tour of Ireland and the UK this June. From Friday, June 10 through Sunday, June 12, WWE NXT takes over the Download Festival at Derby’s Donington Park. Alongside some of the biggest names in rock, including Iron Maiden, Black Sabbath, Rammstein and Korn, superstars like Finn Bálor, Bayley, Baron Corbin and Shinsuke Nakamura will take to the ring to showcase their high-octane brand of competition. The NXT tour continues to Belfast, SSE Arena on Monday, June 13, then travels to the 3Arena, Dublin on Tuesday, June 14. The Echo Arena in Liverpool plays host to live NXT action Wednesday, June 15, while the Bournemouth International Center will be treated to an action-packed evening on Thursday, June 16. The tour concludes on Friday, June 17, at Plymouth’s Pavilions Arena. Don’t miss your chance to see NXT live and in-person this June!